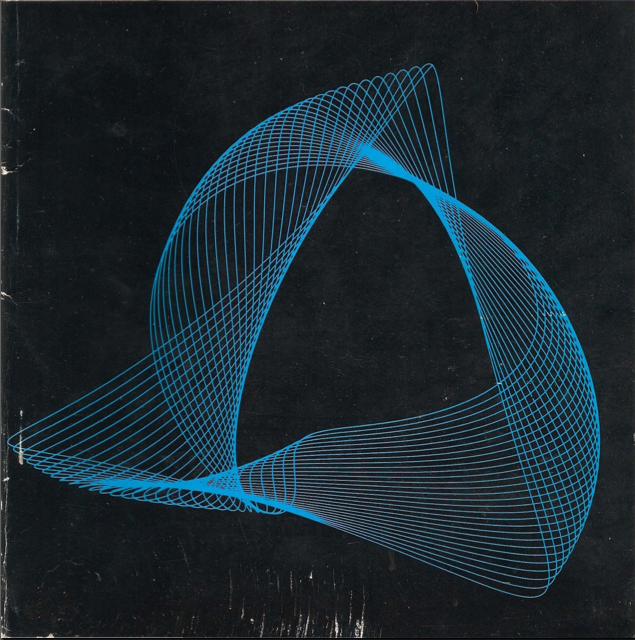 Synapse was published from March 1976 to June 1979 and was a source of great electronic music information at a time before the internet. I still have my collection in the basement but the magazine can be read here without dusting anything off. 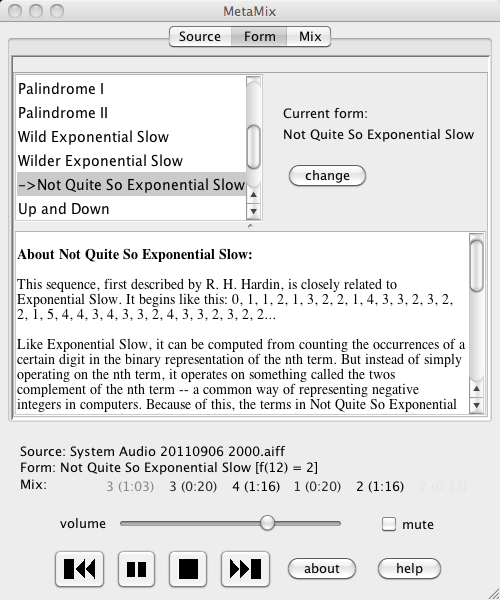 MetaMix is a cross between a musical composition, a digital audio player, an interactive experience, a software tool, and a work of conceptual art. Feed MetaMix your favorite audio track and listen as familiar music is transformed into a new listening experience. MetaMix superimposes new musical structures onto existing music by turning special mathematical integer sequences into new musical forms. These musical forms are used to “remix” the audio track you choose. But the Download Section is not Linked. “In spite of its name, the generation of tonal melodies is not the principal aim of Melody Generator II. Its goal is scientific: to establish our understanding of tonal music by developing an artificial music generator and evaluating the well-formednes and ‘quality’ of the melodies it yields. Melody Generator II differs from systems that help users to create melodies by providing a platform for generating music that assists the user to obey the rules of tonal music (e.g. non-chord tone resolution, voice leading, motive development). These systems basically constrain the selection of tones and chords but the actual selection is still made by the user. 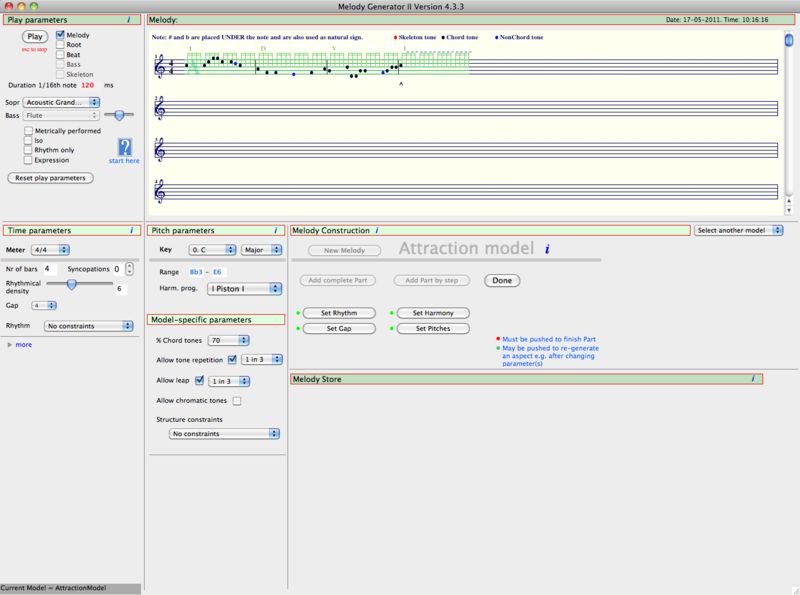 Melody Generator II carries out the complete process of melody construction, although the user can edit the result in various ways. 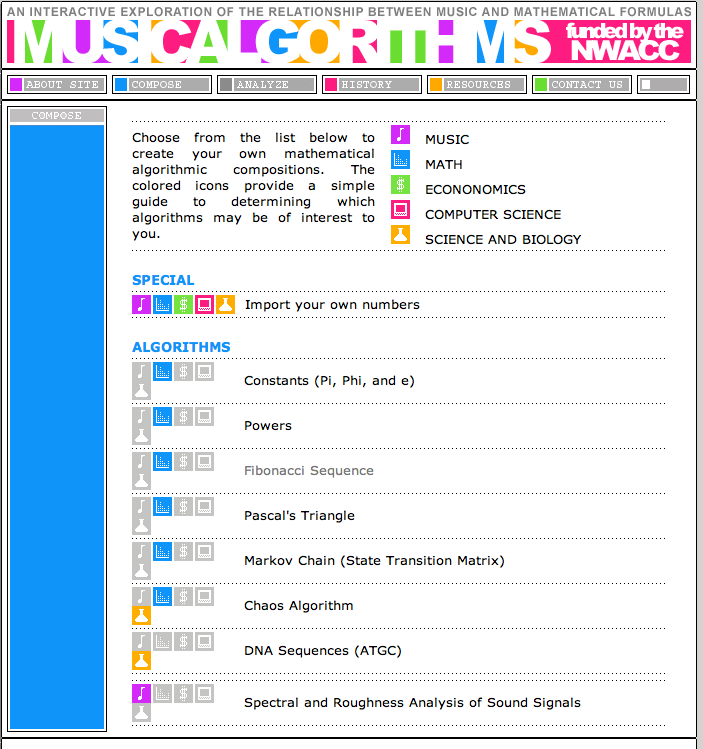 MEAPsoft works by (a) segmenting original audio up into individual beats or events, (b) calculating some features for each segment, and (c) matching or rearranging segments from one or more pieces to create a new piece of music. MEAPsoft comes with a wide and increasing range of feature extraction routines, and algorithms for matching and rearranging the segments (called “composers”). 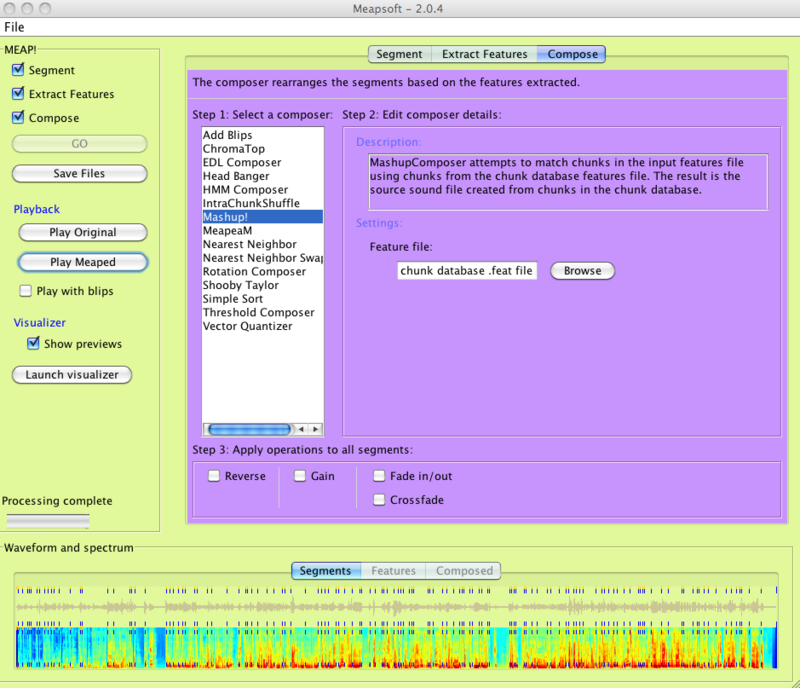 MEAPsoft is written in Java, and makes it pretty easy to write your own feature extractors and composers.